Sweeten your gift giving this season with our list of 8 easy Homemade Food Gifts for the Holidays! The next month is filled with invitations, parties and loads of gift-giving opportunities. Don’t show up empty handed! 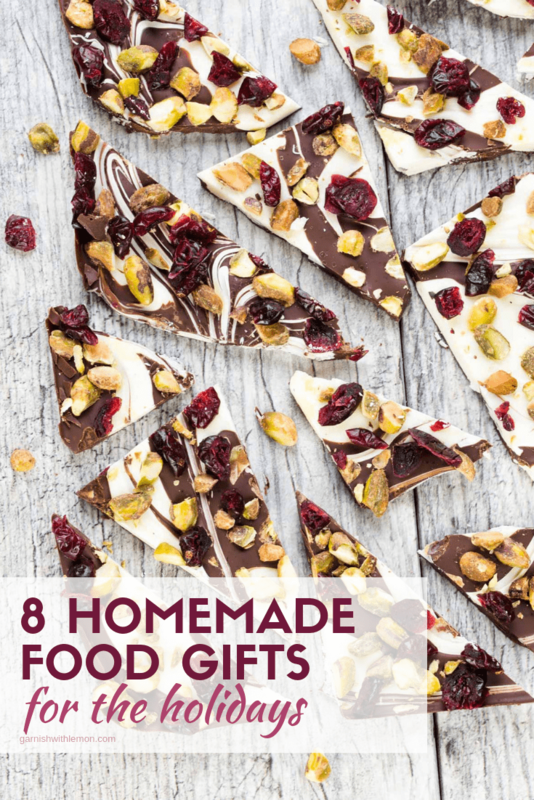 Homemade food gifts are some of the best ways to indulge our friends and family during this festive time of year. Below you’ll find 8 of our favorite Homemade Food Gifts for the Holidays. Pick one and make a monster batch or dabble in a few of the recipes for more options. Whatever you choose, it’s sure to be tasty! 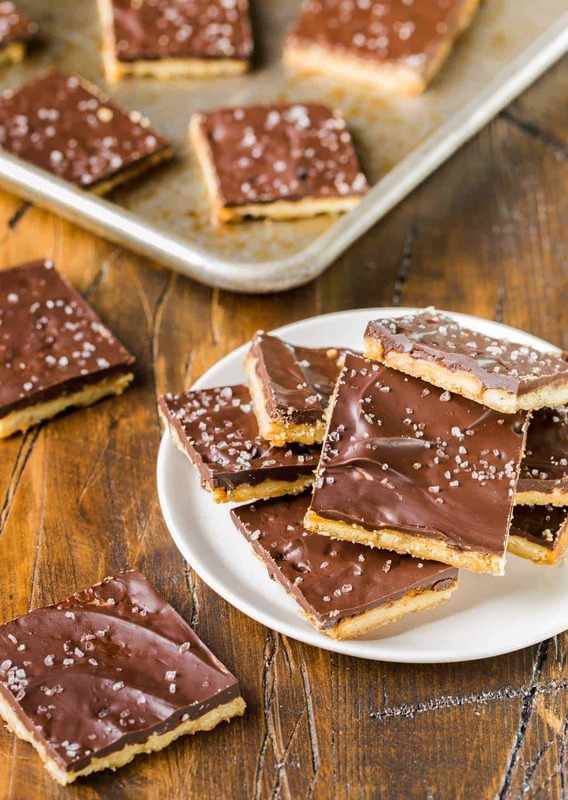 These Rosemary Cracker Toffee Bars take a favorite holiday treat and make it fresh with the addition of savory rosemary crackers. 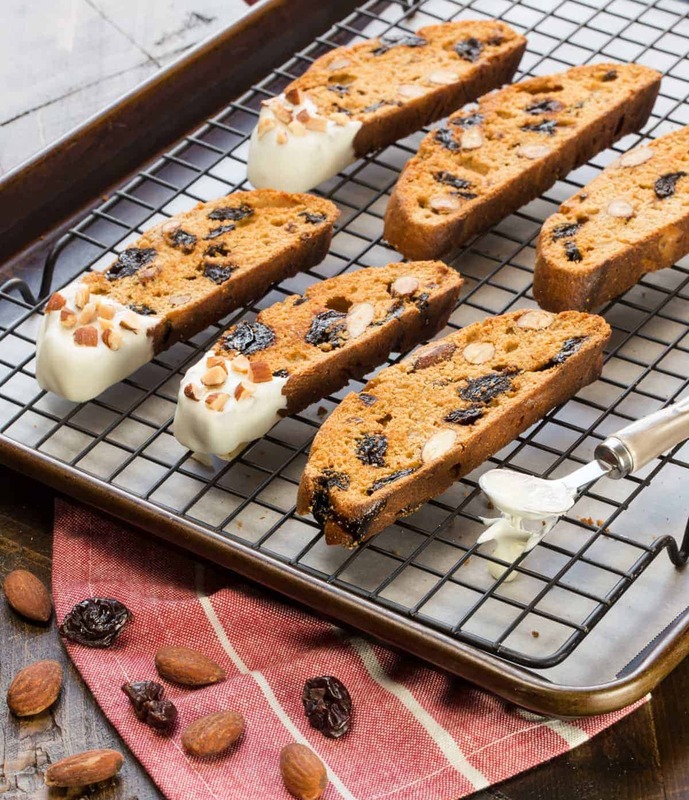 Tie these White Chocolate, Cherry and Almond Biscotti in cellophane, add a pretty bow, and you have a perfect hostess gift. Plus they last for weeks! 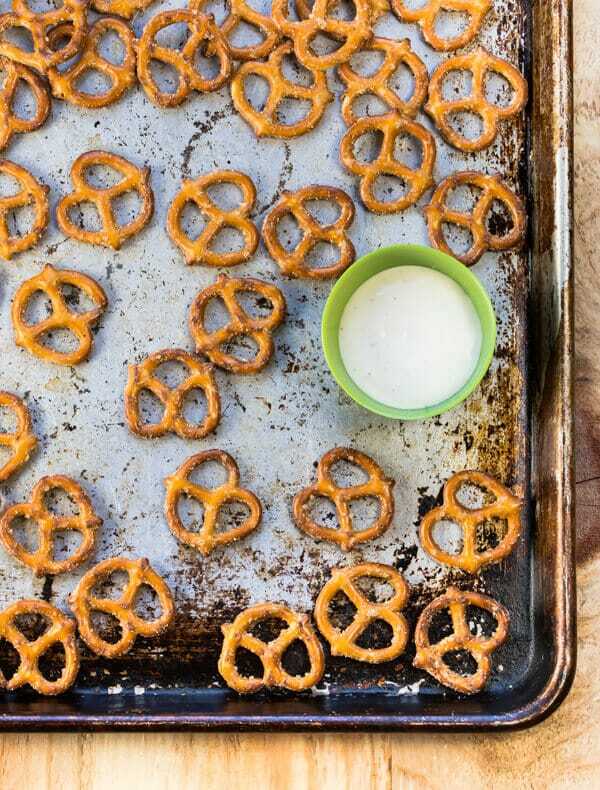 The recipe for these Easy Spicy Ranch Pretzels was inspired by a food gift given to me by my neighbor. I can’t take credit for the recipe, but I can definitely vouch for the delicious taste! Our guests are always asking for the recipe for these Cranberry Walnut Bars. 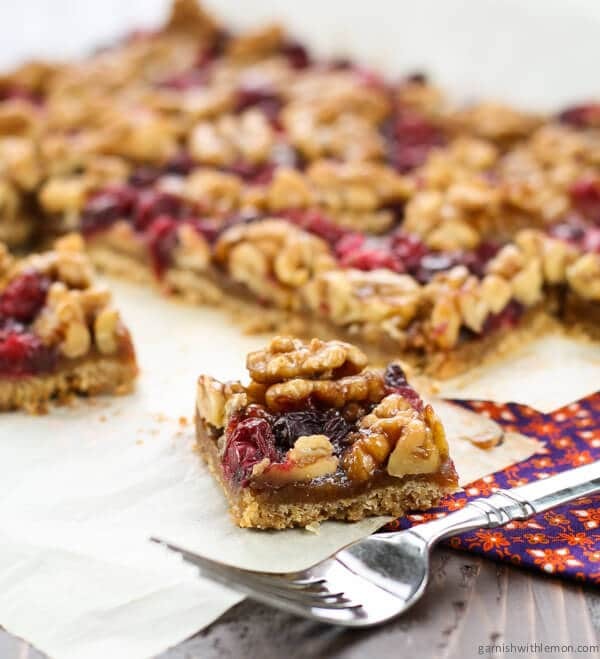 The tart cranberries are the perfect complement to the rich candied walnuts and shortbread crust. 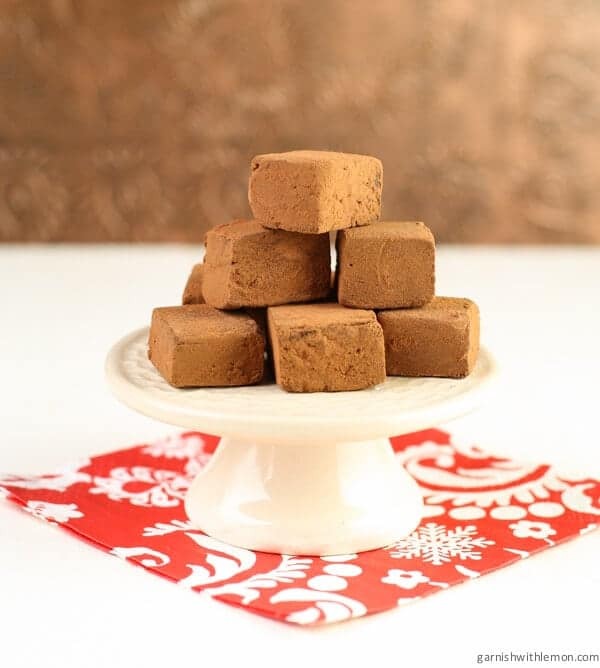 The secret ingredient in these Secret Sauce Chocolate Truffles may have you scratching your head at first, but there is no denying the pure chocolate decadence in these bite-sized goodies. 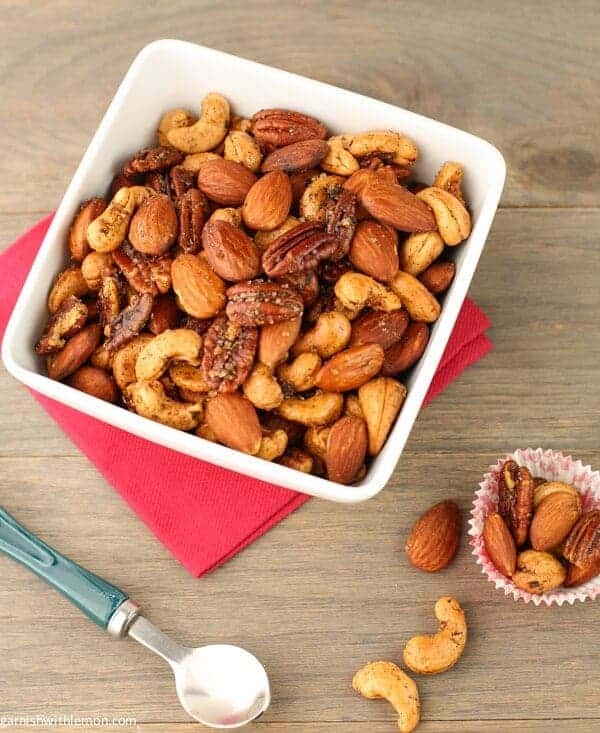 These addictive Chipotle and Rosemary Roasted Nuts are an excellent make-ahead food gift – if you can refrain from eating them all yourself! Who can resist chocolate, nuts and dried fruit? 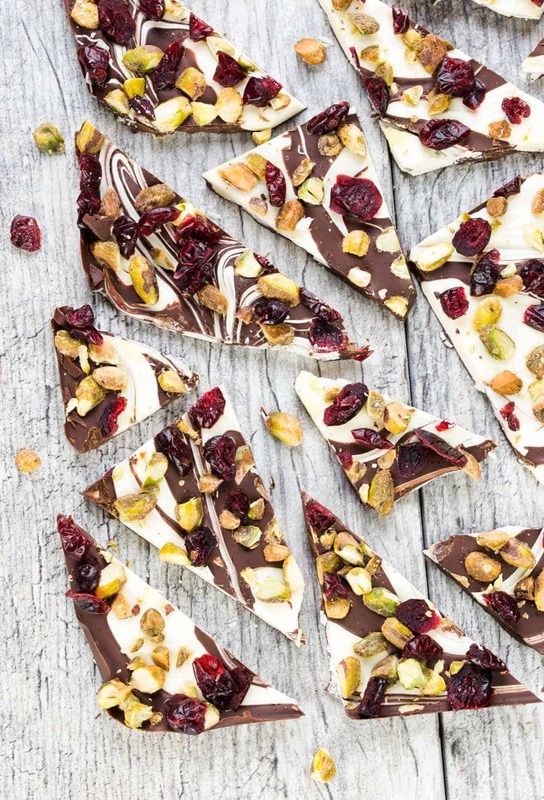 This Chocolate Cranberry Pistachio Bark is delicious as is but can be easily adapted to include your favorite fruits and nuts. 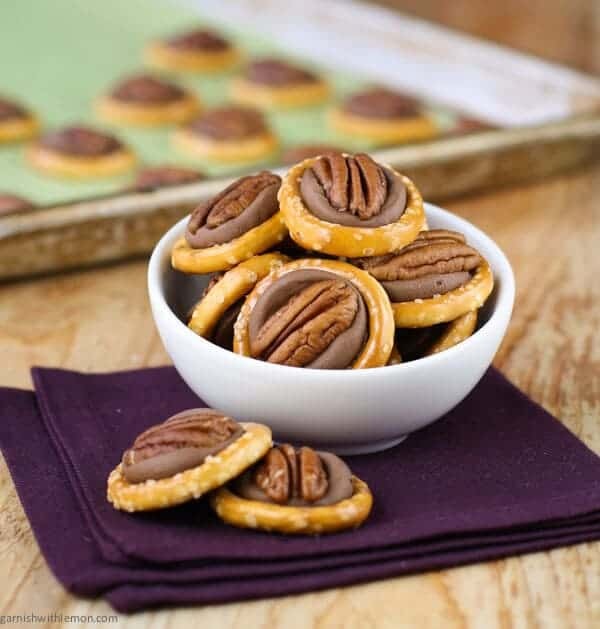 Three ingredients are all you need to whip up a batch of these Easy Rolo Pretzel Turtles. It doesn’t get much simpler than that!